Possibly the most important thing to do before you leave is to sign a work contract. And before doing this, it is important to read it very carefully. It is a good idea to research the general work standards of the country you are going and have someone else read the contract, too. This "sample contract" is available simply as a guideline to give you some ideas of what companies and schools expect from the teachers they employ. After glancing through or printing the contract you will be able to consider the employer's requirements and how their requirements will meet with yours. • Who is responsible for accommodation. Most schools deal with foreign teachers all the time. They sometimes keep several apartments ready for teachers to come and go and have already helped a number of teachers through all kinds of problems. They are generally looking out for you. Be careful making demands on your contract when a polite request would suffice. They may overlook you if you are too pushy. Living and working in a foreign country requires you obtain a passport and visa. If you have not already done so, begin this process as quickly as possible as it can take some time. When discussing your availability, don’t forget to factor in the length of time this process can take. For anyone to travel overseas, they must hold a valid passport. A passport is the document that is used to identify you and your travel status. It contains information about you, immigration stamps for countries you have passed through and any visas you have been issued. After lodging an application, passports take up to 6 weeks to process and send out, so plan this step well in advance. You can typically obtain a passport application form from your local post office or the internet. Aside from this application form you will need to lodge some other documents as well. These include identification papers and passport photos. All of this information can found on the application form itself. After obtaining a passport, you will need to obtain a valid visa for your travel. In some cases, a person may not need a visa to travel, but it is essential for anyone who wants to reside in a country for a long period of time and work. Visas are generally issued by sending your passport into the nearest embassy or consulate of the country you wish to visit. As there are different restrictions on different kinds of visas for different countries, there are also different documents required for lodging a visa application. You must consult the embassy or consulate to get all of the information you need. Read the following description of visas and check our Country information page to make sure you apply for the correct type of visa before travelling. A work visa is granted to a traveller who wishes to work in a particular country and pay tax there. They are usually only granted once a teacher has signed a contract and booked flight tickets. You will often need to send copies of your university transcripts, qualifications such as your degree certificate, a birth certificate and passport, some extra passport photos and your work contract to the embassy for visa processing. There is always an application fee and it can take 4 to 6 weeks to process a visa, so be prepared to have to wait this long before travel. Feel free to visit our Country Information pages to see information on specific countries. Working holiday visas have strict regulations regarding age, nationality, type of employment and even work hours. They are generally short term visas and not issued for the purposes of TEFL. They are aimed more at travellers than at workers. Spousal visas are issued to people who are married to a citizen of another country if they wish to live in that country and work. There are a lot of strict regulations on who can apply for a spousal visa. The process is often time consuming and emotionally taxing and teachers often have to apply for a second work visa anyway. Research what kind of visa suits your circumstance and travel purposes. Student visas are obviously issued to students enrolled in a foreign country. Sometimes this occurs in exchange programs, sometimes tertiary students apply for these visas. Tourist visas are granted to travellers who are passing through or staying for a short time. These are usually for holiday purposes. Working while you are in a country on either a student visa or tourist visa is illegal in most cases. While there can be opportunities to find work, it is not advised. When a school has strict time constraints and is willing to bypass the law, they may ask a teacher to come on a tourist visa and work until a work visa can be arranged. In this case, the teacher will be forced to make a ‘visa run’ to a neighbouring country to renew their visa. If this happens, schools should be responsible for paying for the inconvenience, but schools don’t have any legal responsibility. In some countries, getting a work visa requires an expensive sponsorship from a country and they may not wish to pay upfront for a teacher they haven’t met. In these cases, working on a tourist visa may be the standard in the country. They are typically valid for 90 days before you need to do a visa run. There are two main problems with doing this. The first and most obvious is that if you are caught working without a valid visa, you can be fined, deported and even blacklisted. The second is if you get stopped at immigration you may be stopped from entering the country. Schools do not usually do very much to help as they don’t want to be exposed to legal issues. Leaving the country for ‘visa runs’ is an inconvenience most teachers would rather avoid. Teflen’s Country profile page features plenty of information on which visas are required to teach in each country. Laws in every country are different and some visa require you get a police background check done before applying for a visa, other require one upon arrival in the country. Consider your legal responsibilities before embarking on this journey. One thing that is common on a lot of contracts is the reimbursement of flight ticket money. While a teacher will be required to buy the ticket upfront, the money is usually returned incrementally over the course of the contract. You will probably have to purchase a return ticket on a date you don’t plan on returning. These dates can usually be changed later by contacting your airline. Make sure you apply for a re-entry visa for the country if you wish to take holidays during your stay. Nobody wants to get sick when they travel, but it inevitably happens every now and then. It is important you think about health risks before you travel. Get medical insurance, not just travel insurance. Hospital costs can get very expensive if you aren’t covered. Cholera can still be found in parts of Central and South America, Africa and Asia. Common sense is your best weapon against a cholera infection. Be careful with foods and drinks, and wash your hands in clean water. Vaccinations are important. Hepatitis A is the most common disease spread among travellers. Get a shot. Just one will protect you for 10-12 months and a booster will provide lifetime protection. It exists in hot humid regions and is easily spread through contact with food liquid and infected people’s hands. Yellow Fever is spread through mosquitoes in Central and South America (including some countries in the Caribbean islands) and Africa. After your vaccination, you will probably be provided a certificate showing your vaccinated status. The shot and certificate are good for up to 10 years. It is important to get your money in order before you depart. Your debts, including credit cards will continue to collect interest unless you close them before you leave. Close out any bank accounts that will charge fees. Talk to your bank, your credit card company and your tax agent and let them know where you are going and for how long. Figure out a system for sending money between the counties for emergencies, or to save. Compare currencies and exchange rates between the countries. Check your contract and see how much you will get paid. Check the prices of everyday items, such as a bottle of water and a loaf of bread. Often, you will get paid a modest amount, but the cost of living will be low. Check if your country has a pension agreement. In almost all cases, travelling overseas is a challenging, rewarding and safe experience. However, there is always a slight risk of danger when travelling to a foreign country. You are suddenly thrust into a new culture and population. In your own neighbourhood you experience a certain level of safety that comes with experience and this is the most important thing to be aware of when travelling. Without this prior knowledge, you are more susceptible to danger. In the section that follows you will find useful information to help keep you safe when you travel. Remember that accurate local knowledge is your best defence. Buy a good, comprehensive guidebook on the country you are going. Read about the city you are going to live in. Research where you are going and the school you will work for. Take every opportunity you can to get a local perspective. Plan your trip, up to and including your arrival at the airport. Organise transport from the airport to the school or your accommodation. The first thing you will want to do is have a good rest after travelling. Make copies of all of your important documents. This includes your passport and visa, work contract, travel itinerary and qualifications. Take a copy with you and leave one with someone you trust back home. These may be important if something goes wrong or if you need to apply for more visas. You should fill in the emergency information section of your passport. Have a trustworthy contact back home that will be able to act on your behalf. Most credit card companies have international numbers to call if you lose your card or it is stolen. Leave your card information in a secure and safe place. Make sure you cancel your cards immediately if you lose them. Don’t forget that laws, customs and accepted behaviours vary widely in each country and in some cases, each city. Don’t assume that people will tolerate bad behaviour based on your nationality. If you are not trying to learn about the local culture, at least try not to cause a disturbance. If you are confused or feel threatened by something, talk to a local and ask. Most people are happy to help a newcomer. Orientation is a big help when you first land. If you look disorientated, you are surely a target for criminals. Look confident and speak clearly. Stay alert to the area around you. Keep your belongings close and be aware of noises around you. Find yourself a quiet place to prepare yourself and, most importantly, stay calm. If you are downtown, you may witness a political rally or protest. If this happens, it is important that you avoid it as much as possible. You should leave immediately and follow all directions of local police. These situations may seem like interesting random events in your holiday, but represent serious turning points in the lives of the participants. Stay away from and do not get involved in demonstrations. While you may feel paranoid, don’t feel ashamed to look over your shoulder every now and then. Keep an eye on any suspicious looking people in your vicinity and try to keep moving with a crowd. Watch where you are going and you will avoid bumping into people accidently. Have an exit clearly planned in your mind and try not to draw too much attention by wearing flashy jewellery or clothing. One of the best strategies is to always travel in a group. At night time you shouldn’t travel alone or in small groups. The more the better. Having a local friend who knows the area is good as they can help you if you need it. Quickly figure out which parts of the city you enjoy going to and which ones to avoid. In some areas of some countries women can be the targets of jewellery theft or bag snatchings. Ladies should always keep money in separate parts of their bags and keep it close at all times. Leave it with someone you trust if you are getting up to go to the bathroom. Keep jewellery concealed as much as possible and leave any important documents you don’t need locked safely in your room. Before you go out, make sure you have accurate directions and there will be someone to meet you when you arrive. Take a small amount of emergency cash or an emergency credit card when you go out. Don’ carry too much, just what you need to get you home. Travelling overseas doesn’t usually involve any serious danger. Despite any horror stories you may hear, serious emergencies are actually rare. Losing your luggage, your ticket, wallet or passport is a nuisance, but it doesn’t count as a serious emergency as no one’s life is in danger. Natural disasters, political strife and medical emergencies all constitute serious emergencies. Arriving in your destination country, you should set up a means of communication as quickly as possible. In some cases you will just need a sim card for your current mobile phone, in other cases you should purchase a new one, get a home phone or buy a calling card. Also get a reliable internet connection set up. Any form of immediate contact will be necessary in case of an emergency. If you need help, you will need to contact someone, and if there is an emergency back home, people will need to contact you. It is also important for your personal well-being that you hear a familiar voice every now and then. Make a regular plan for keeping in contact with your family and friends. Web cams are very good inexpensive pieces of technology which will allow you to see and talk to your family. It is a good idea to let someone know where you are and how to reach you at any time. Preparing yourself before the trip is obviously essential. Any preparation you do beforehand will only serve you in your new environment. You are stepping into a new physical environment, amongst a new population and a new culture. While there is very little danger of any serious emergency, there are still things you should be wary of. Before you get on the plane, make sure you know who to expect at the other end. In some cases a school might send out a representative or agent, but in other cases, you may have to organise your own transport. Look up the estimated distance from the airport to your city or accommodation. Carry a phrasebook to help you in case you need help. Outside of the airport, not many people will speak English. When you arrive in the city, settling in and adjusting to your new environment should be your priority. There are several things you can do to facilitate this process. Get some help learning about your local area. Identify useful landmarks like parks, shops, hospitals and restaurants. Figure out the most effective transportation methods for your city and learn how to pronounce your address so taxi drivers can understand you. This also includes finding access to local money facilities. Talk to your colleagues about how they get paid and take care of their money. Locate the closest ATM, and avoid getting out large sums of money. In order to smooth the transition process and make your apartment feel like a home, you should ask for assistance in getting gas, electricity phone and internet connected. Stay connected with your loved ones, and peace of mind is very important. Overall, the experience you are undertaking is a rare and valuable one. It has the power to change people’s lives. You should spend as much time as you can learning and absorbing the new culture. Try new foods, and practice the local language. Usually people will respond positively when you attempt to fit in. The more open minded you are the more likely you are to enjoy yourself. 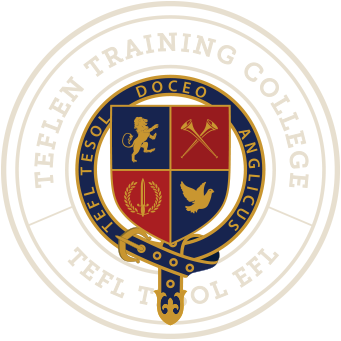 Once you have completed the Teflen course you are more than prepared for your responsibilities on your first day at work. Despite this fact, many people may still feel nervous when entering a room full of new students for the first time. This is natural, but as long as you stay calm and friendly, the school and students will no doubt react positively and help you if you need it. The Teflen master course covers every aspect of TEFL that new teachers need. It covers everything from English language teaching methods, skills, classroom management and seating arrangements. Be sure to use this knowledge when you first arrive as this can help you make smart working choices. If time permits, ask the school for a day to observe a class and prepare your next day’s classes. This is ideal, because it gives a good feel for the atmosphere of the school and gives the children some time to meet you before becoming their teacher. You should get to know your fellow teachers and staff at the institute. These people may be your best friends while you are working there. Prepare some easy lessons and ‘getting to know you’ activities for the first couple of lessons. You don’t want to start too hard but also want to build a rapport with your students. Check Teflen’s teacher resource pages to find some suitable activities. Remember to be yourself and not let the change of environment phase you. Talk to your school about what they expect from you as a teacher. Follow their guidance as much as possible, remember that you are their employee and they are paying you a decent wage. Use their textbooks and resources as much as you can. Ask about how the school operates. Find out how classes are grouped and how assessments are carried out. Find out what problems teachers face in the classroom and your colleagues’ strategies for dealing with problem students. Find out if the school expects you to take part in meetings, extra-curricular activities, or teach other classes. Do your best to learn the names of your students and fellow teachers, employers and other school staff. It may be difficult, but people will appreciate the effort you put in. Something else that will help you stay grounded will be to plan. Plan your day and plan your lessons. Punctuality and time management are important skills for a teacher to master. Buy a watch and set an alarm. Reaching is a respectable job and you should do our best to be professional. If you are immersed in a foreign culture for a long period of time, it is common to feel negative emotions, sadness and isolation at times. This is known as culture shock and it is a normal part of settling in to a new environment. Everyone experiences culture shock to a degree. It manifests itself as either a negative physical or emotional reaction. It is important to understand what culture shock is in order to deal with it more effectively. While it may seem overwhelming at first, it usually passes in a few months. When you first arrive in a new place, everything seems new and exciting. It is easy to get swept up in the exotic nature of a new environment. This is known as the honeymoon stage. It is the same sensation as being on holidays. After a short amount of time, teachers notice more negative aspects to the culture than earlier. They become sarcastic and even look down on the foreign culture as being inferior. This should not be encouraged and teachers should be encouraged to be open-minded. Teachers may start to withdraw from social activities. If they seem to be bored and not interested in going out, they may be in the depression stage of culture shock. This stage is the most testing for teachers as they may question why they chose such a massive change in lifestyle. In most cases, it is better to stick with a contract, as this stage usually passes after a short period of time. After a teacher gains enough experience in the new culture, they learn to see both the positive and negative sides to the culture. They find their place among the local people who are usually quite friendly. Life becomes easier as the teacher learns to be independent and navigate their day to day life with fewer hassles. Remember that much of your negative emotions come from a lack of understanding. Try to make local friends and ask them about things you find unusual. Perhaps there is a perfectly normal explanation. Remember, no matter how bad you feel, the other culture isn’t stupid. Millions of people have existed like that for thousands of years. Attempt to understand, rather than judge. Learn a few simple expressions that you can use in many different situations, such as “excuse me”, “is that ok?” and “really?” These expressions can get you out of a lot of trouble. Decorate your apartment to make it feel like home. If you start to feel depressed, clean out your room and open a window. It is important that your home feel safe and comfortable. Try to learn about the culture; language, history, art, music and film are all great places to start. Find someone you can talk to about your feelings. If you don’t open up and express your feelings, people won’t know how to help you. Social interactions help to calm a person and lessen culture shock. Look at the trip as a challenge, not a threat. Try new food, go to festivals and local markets. Find out what your city’s specialty is. Don’t expect things to be the same as they were back home. A day to day and week to week routine will help you get settled. Take part in clubs and groups. Find out where other foreign teachers go. Keep in regular contact with friends and family members back home. The internet can provide a quick and easy way to let everyone know you are ok. Observing other teachers’ classes will help calm your nerves about your own classes and may even give you ideas. Think about which aspects you could use to make your classes easier to manage. Get into an exercise routine or take up a hobby. Find out what the locals do. In bigger cities, there are always new things to see and do. TESOL Employment Contract – Sample to Teach English Abroad, TEFL Jobs. An essential travel Checklist for English teachers to teach English abroad and employment agreement that potential TESOL English teachers should check.